A visit to New Zealand wouldn’t be complete without a visit to some of its best wineries. 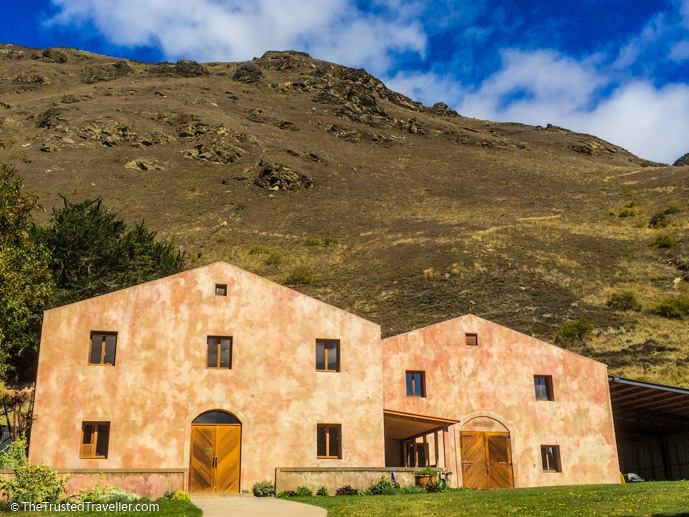 And while we love taking a guided day trip through a wine region and think it’s such a luxurious experience, tours can sometimes be costly and overpriced. 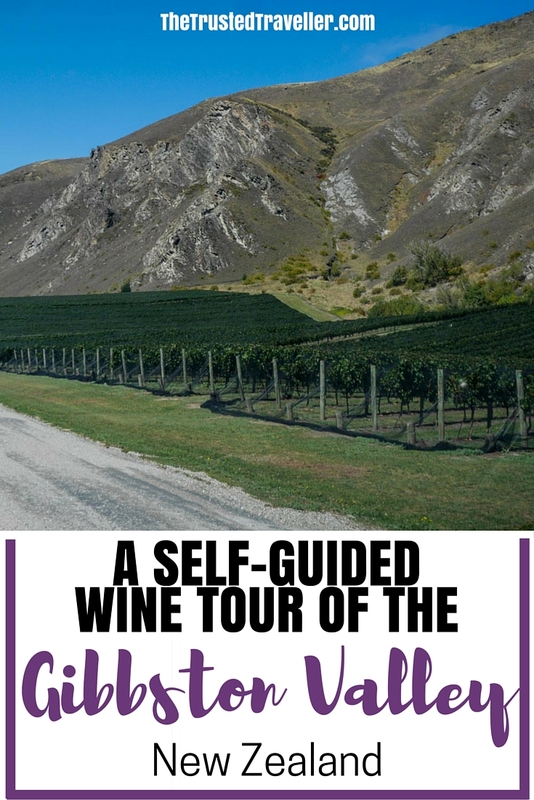 So to save ourselves the hefty tour cost on our recent trip to the South Island, we put together a self-guided wine tour of the Gibbston Valley, a region of Central Otago we’d been dying to explore. Where is the Gibbston Valley? The Gibbston Valley is a sub-region of the greater Central Otago wine region on New Zealand’s South Island. It’s located less than 30 minutes’ drive east of Queenstown and right on the doorstep of lovely Arrowtown, where we were staying. 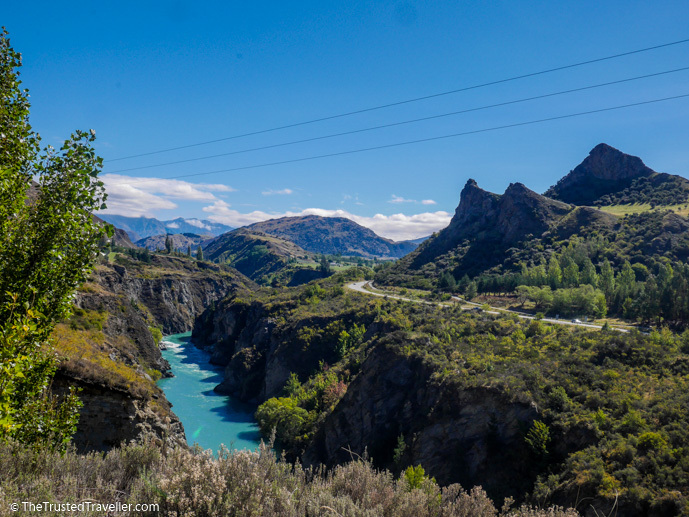 Known as the ‘Valley of the Vines’ because it’s sandwiched in a valley surrounded by rugged mountains and running along the Kawarau River Gorge. Even if wine isn’t your thing, it’s worth a visitor just for the drive and amazing scenery of over 250 hectares of vines clinging to steep slopes of the mountains. Why Visit the Gibbston Valley? New Zealand is littered with vineyards and there are many great wine regions to choose from, some of which we have visited before, including Marlborough. Unfortunately you don’t always have time to visit them all and sometimes need to pick just one to explore. Close proximity to Queenstown – Most people visiting the South Island visit Queenstown and with the Gibbston Valley being so close by, you could easily visit a few wineries on a half day trip. High altitude, high quality – The Gibbston Valley is the coolest and highest wine region in Central Otago which helps produce some of the region’s best wines and the wine makers have a bevy of awards to prove it. 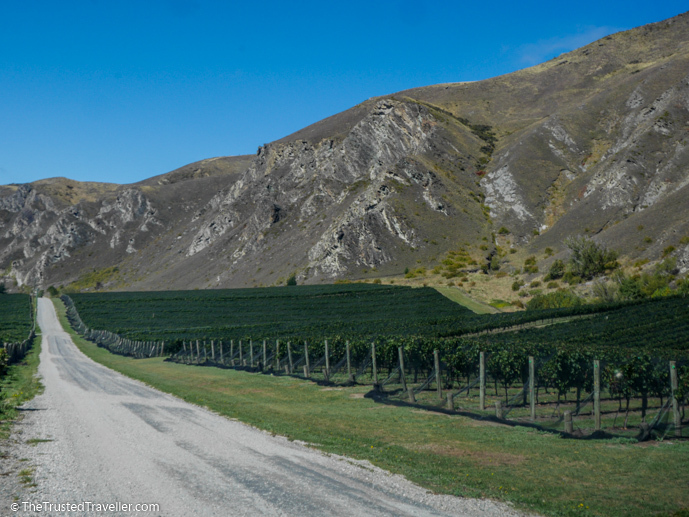 If you like Pinot Noir and cool climate whites – The specialty of the area is of course Pinot Noir so if that is a wine you enjoy then you’ll find it at its best in the Gibbston Valley. But don’t discount their cool climate whites either. I’m am exclusively a white drinker and think the regions whites are the best I’ve tasted in the country! It’s a small area to cover – There is just 12 vineyards in the Gibbston Valley and just 20 minutes from one end of the valley to the other. With at least half the wineries open to the public, this makes it a very manageable day trip (or less) to visit all or most of them. There’s cheese too! – Nothing goes better with wine than cheese does so having a cheesery in the region totally makes sense and enhances your day out. There are 12 wine producers in the Gibbston Valley with six of these open to the public on a daily basis and the other six open either during summer or by pre-arranged appointment. For this tour we focused only on the wineries that are open on a daily basis, however there is no reason why you can’t pre-arrange to visit any of the others. We chose to visit four wineries in half a day but you could visit more or enjoy lunch in one of the vineyard restaurants to extend it out to a full day tour. The choices we made were based on our individual tastes in wine and we also wanted to ensure we visited a good mix of larger and smaller vineyards. Because I love whites, and Mick loves reds, we picked four wineries that had a good balance of both. Brennan specialise in Pinot Noir but also produce the only Pinot Grigio in the area and one of only two tempranillo’s in the area too. As well as tastings, they have a picnic menu which you can enjoy in their sunny courtyard by the vines. It costs $5 for a tasting which is refundable with any bottle purchase. Worth a visit to see the tasting room alone with its flight of bird architecture and rustic barrel room. Peregrine again specialise in Pinot Noir but they are also well known for their dry and late harvest Rieslings too. 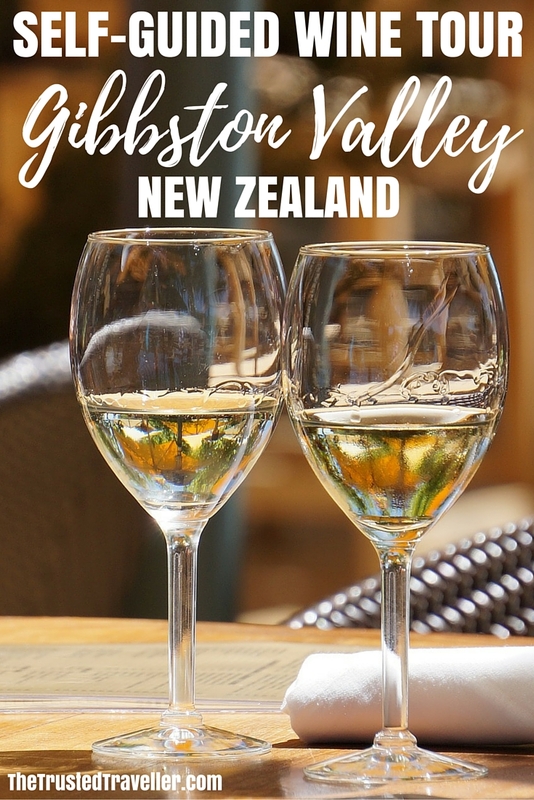 The biggest wine producer in the region, Gibbston Valley Winery has a multitude of wines you can try for a small fee with just about every variety covered. 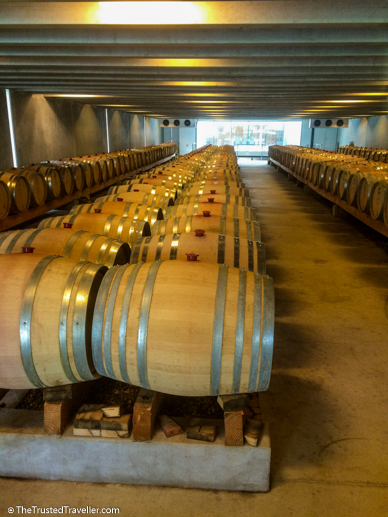 The winery is also home to the famous wine cave which you can take a tour of also. You can have lunch in their restaurant and while you’re there visit the cheesery to stock up on cheese to go with all that wine you’re buying! Saving the very best for last! Just the drive to get out to Chard Farm is an experience as you travel along a gravel path that hugs perilously to the rugged mountain with stunning views of the river. I’ve been a Chard Farm fan since I tried their Pinot Gris at The Winery Experience in Queenstown a few years back. Their cellar door is like something taken from Tuscany in Italy, their staff incredibly friendly and their wine exquisite! 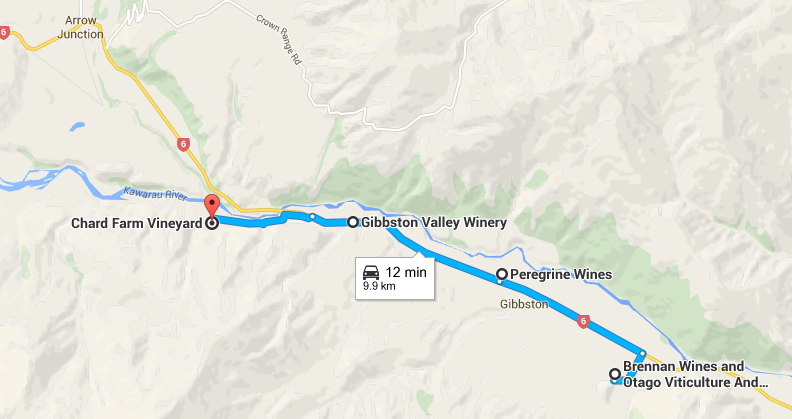 You’ll find all the information you need for each of the wineries in the Gibbston Valley, including a map, opening times and contact details here. Of course for a self-guided tour you will need a car. We recommend and use Expedia for all of our hire care bookings. They have a great comparison tool and we’ve always found them to offer a comparable price. What is your favourite wine region? Do you prefer visiting wineries on your own or as part of a tour? So I’ve still never made it to NZ at all, and I’m so desperate to. The scenery looks to die for! I’m not a huge wine drinker but I do enjoy the trips between cellars, meeting the people who run the vineyards, and of course the scenery. Cheese sounds good, too! Oh it is amazing and I’ve never met a person who didn’t love it so I think you will too!